You can pay via PayPal or using your Debit or Credit Card. Some photos may be taken during the event. By registering, you consent to the use of such photos for promotional purposes on the BES and IES website. Online registration is required. Registration closes on August 14th at 12 noon. 11:10am How do you pick which innovation to fund? 11:40am Is Medical Devices Regulation a barrier to Innovation? Sidney is CEO of Diagnostics Development (DxD) Hub and EVP of Incubation and Startup Management (ISM) division at ETPL. Her team of diagnostics and medical device specialists in DxD Hub focuses on accelerating productisation of innovative diagnostic technologies. Sidney leads ISM to strategize and support start-up activities related to technologies and innovations, including setting up A*StartCentral, a pioneering open innovation lab focusing on med-tech and life-science start-ups. A serial entrepreneur with extensive experience in research, starting companies and investments prior to joining A*STAR, Sidney continues to be actively involved in med-tech and innovation activities. She is a non-executive board member of medtech startups, and a reviewer on diagnostics and medtech funding schemes. Sidney was a researcher with A*STAR’s Institute of Molecular and Cell Biology, and a research scholar at The Scripps Research Institute. Dr. Dieter Trau is an Associate Professor at the Department of Biomedical Engineering at the National University of Singapore (NUS). He started his entrepreneurial activities as a founder of a life-science company in 1995. In 2010 Dieter founded the “AyoxxA Group” in Singapore and Germany, now a 25 million EURO VC funded company. Followed by “Tip Biosystems Pte Ltd” that he founded in 2014 to commercialize a personal hand-held photometer termed “Photopette”. Dieter holds a PhD in Chemistry from the Hong Kong University of Science and Technology (HKUST). He is the author of >50 international peer-reviewed research papers and inventor of 17 patent families, resulting in ~100 patent applications of which >20 are granted and commercialized by various companies. 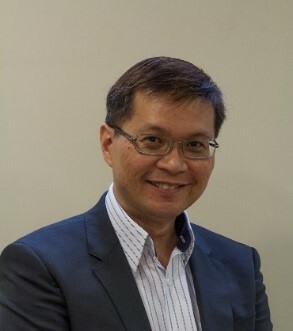 Mr Johnny Teo is the Director in the Industry Enterprise Division of SPRING Singapore, overseeing the emerging manufacturing & engineering sectors such as advanced manufacturing, biomedical, and cleantech. Through this role, he spearheads infrastructural and enterprise level initiatives to better equip small and medium enterprises (SMEs) with the relevant tools necessary for them to capitalise on the exciting and growth opportunities in the region. Prior to this, he was the General Manager of SPRING SEEDS Capital, the investment arm of SPRING Singapore. Johnny also holds a Masters in Chemical Engineering from the Imperial College in the UK. 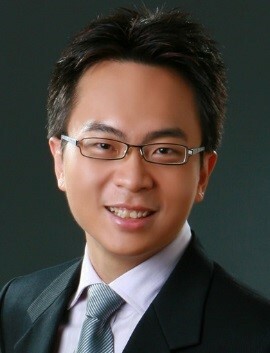 TRENDLINES MEDICAL SINGAPORE PTE LTD.
Eric Loh has more than 20 years of experience in the medical device industry. Most notably, Eric played significant roles in developing Biosensors International, an early-stage cardiovascular device company, to a successful, publicly traded company on the Singapore Stock Exchange. In his role as the Managing Director of Biosensors, he oversaw the establishment of a joint venture operation in China that resulted in Biosensors’ successful entry into the fast-growing Chinese markets. He also led successful sales and marketing efforts and commercialized Biosensors’ products in many other markets in Asia Pacific while managing two manufacturing facilities in Singapore. In 2005, Eric was involved with the company’s IPO on the Singapore Stock Exchange. 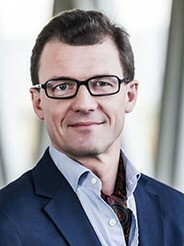 He continued to lead the company’s corporate development and was involved in several M&A transactions that brought value to the company’s progress. After leaving Biosensors, Eric was the CEO of another start-up, EPI Mobile Health, where he achieved regulatory approvals of the novel mobile ECG device from the FDA, CE, and HSA that enabled the commercialization of the products in key markets in Asia. Eric holds an M.Sc., Medical Engineering, and B.Eng. (Hons. ), both from the National University of Singapore; is a graduate of an Executive MBA program affiliated with the Helsinki School of Economics; and is a CFA charterholder. 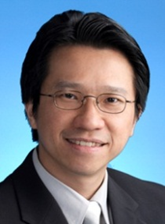 Mr Alfred Kwek is a Regional Director of Government Affairs and of Regulatory Affairs, Healthcare & Medical Equipment at Samsung Electronics (South East Asia, Oceania). Alfred co-chairs (Industry) the Asian Harmonization Working Party Work Technical Committee on harmonizing medical device registration requirements across Asia and Middle East and is part of the Policy Advisory Group of the Regulatory Affairs Professionals Society (RAPS) – National University of Singapore Graduate Certificate on MD. He is also a member of the Curriculum Committee for the Centre for Regulatory Excellence, Duke-NUS Graduate Medical School. Alfred was also part of the team that implemented Medical Device Regulations, and introduced ASEAN CSDT & GDP for registering medical devices, in Singapore. In addition, he co-chaired ACCSQ MDPWG, an ASEAN regulators’ forum on reducing Technical Barriers to Trade for medical devices, and was part of the team that authored pan-ASEAN Medical Device Directive. Furthermore, he chaired the Asian Harmonization Working Party Technical Committee and represented AHWP as Member of Global Harmonization Task Force Study Group 1 on harmonizing premarket submission requirements. Alfred is a Registered Singapore Professional Engineers Board’s professional engineer (registration no 4565) and holds a Masters of Engineering (Bioengineering) and Bachelors of Engineering (Mechanical)(Hons). He has been awarded a patent for a system and method to detect a cardiac event (USA, China, Japan, EU pending). 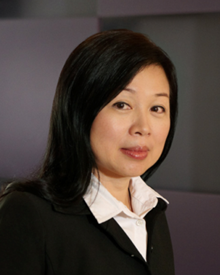 Audrey Yap is a founding partner of the law firm Yusarn Audrey and a Registered Patent Agent in Singapore. Her career in law spans over 28 years. She currently heads the Intellectual Property Department of her firm, which is a boutique intellectual property practice offering legal and intellectual capital management as part of an integrated suite of IP solutions. Audrey is a Member of the Board of Directors, IP Office of Singapore, an Advisor to IP Valuelabs Singapore and a Director of IPOS International. She is a Notary Public and a Board Director of a Singapore Listed company. Audrey was named as one of Singapore’s leading lawyers by Who’s Who Legal and Euromoney. She is the only Singapore lawyer listed as one of the World’s Leading IP Strategists by IAM magazine for nine years consecutively (2009 – 2017). 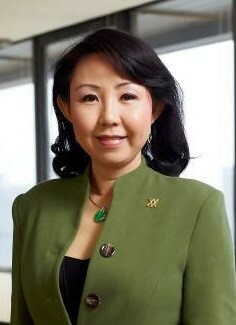 Audrey is chairman of the SMEC Innovation Sub-committee, Singapore Business Federation. She is also Vice President of LES International. 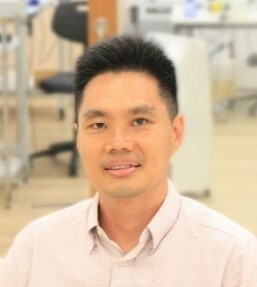 Goh Khoon Seng is CEO of Osteopore International Pte Ltd, and Adjunct Associate Professor at Nanyang Technological University, School of Chemical and Bioengineering. He obtained his Masters in Engineering from the National University of Singapore, and Post-Graduate Diploma (Marketing) from Chartered Institute of Marketing, UK. He has 30 years’ experience in the medical device industry with positions in research & development, manufacturing, marketing, regional business development and management. He has worked with start-up (Pacific Biomedical Pte Ltd), and leading multi-national corporations (Medtronic Inc, Edwards Lifesciences LLC). Osteopore International Pte Ltd is the leading company in Regenerative Medical Devices that utilizes 3-D printing to manufacture implantable devices with biomimetic microstructures for regeneration on bone tissues, cartilage, and soft tissues. Our products has USFDA 510K for craniofacial application since 2006 and CE Mark in 2009 & 2017, and has published 10-year follow-up with successful outcome. 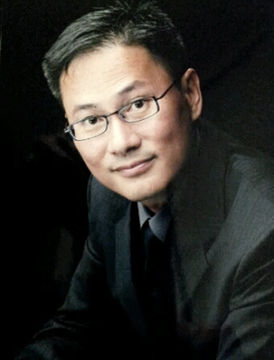 Johnson Ng, Ph.D is Founder and CEO of JN Medsys, a life science company dedicated to empowering next generation genomics through its Clarity digital PCR product. Based upon the company’s proprietary tube-chip technology, the Clarity offers a new paradigm in the absolute quantitation of target nucleic acids requiring high sensitivity and precision. The Clarity was recently awarded the 2017 Frost and Sullivan New Product Innovation Award. JN Medsys is just one of a handful of companies globally that has successfully commercialised a digital PCR system, and the only one from Asia. Johnson is passionate about creating value for our society, by creating useful products in the areas of biomedicine and diagnostics, with the purpose of improving peoples’ lives. When not working, Johnson enjoys sports. Above all, he loves spending time with his family, and enjoys being tired out by his two young and extremely energetic daughters. Johnson holds a B.Eng (First Class Honours) and Ph.D in Bioengineering from the National University of Singapore. 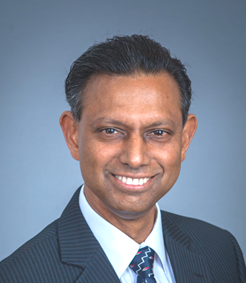 Dr. Ignatius Rasiah, the director of J R Tech Services, is currently an Adjunct Professor at the National University of Ireland, Galway. Prior to his current appointment, he was the VP for Breakthrough Research at Medtronic. In his capacity as VP, Ignatius led the effort for the launch of a Digital Health incubator for start-ups called MindUp in Israel together with IBM, Rambam hospital in Haifa and Pitango (the largest Israeli VC fund). He also led the Medtronic Center for External Technology Incubation (CETI). This was a global effort in incubating research projects outside Medtronic. They included research projects, product development and startups funded by government grants, venture funds, incubators and entrepreneurs. This center has a focus on breakthrough technologies and business models relating to the surgical and patient monitoring spaces. Ignatius, who has more than 20 years’ experience in R&D management of product development in industry, received his PhD in Physics in 1992 and continued onto his postdoctoral fellowship at the Lash Miller Labs in the University of Toronto in Canada. He was the Chief Technology Officer for Asia at PerkinElmer Optoelectronics from 2004 to 2007. He was previously the Global Technology Manager at Honeywell Electronic Materials until 2003 and has been holding key positions at national levels such as the Cardiovascular Taskforce in Singapore, the National Lung Cancer Taskforce in Malaysia and the Institutional Review Board at NTU. He is on the Industrial Advisory Board of the Engineering Science Programme at NUS and has been a consultant to several companies on medical products, electronics and optical technologies in US, Europe and Asia. Dr. Rasiah is a member of the American Physical Society (APS) and the CPMT chapter of the IEEE. Registration will be on a first-come-first-served basis as seats/ places are limited and will only be accepted upon the receipt of full payment or otherwise indicated. We only accept online registration with full payment. Registration closing date/ time: before 12 Noon, 14 August 2017 (Monday). All fees paid are non-refundable or transferable. Confirmation of registration will be forwarded to your registered/ recorded email address within 7-working days prior to the commencement date. Changes in Venue, Dates, Time and Speakers for the Seminar can occur due to unforeseen circumstances. IES and/ or BES reserves the full rights to cancel or postpone the Seminar under such circumstances without prior reasons. Every effort, however, will be made to inform the participants or contact persons of any cancellation or postponement. Fees will be refunded in FULL if any Event is cancelled by IES and/ or the Organiser(s). # Accreditation of CPD PDU for Professional Engineers Board Singapore (PEB) Professional Engineer and/ or Attendee; your Name and Reg. PE Registration Number will be filed/ submitted to PEB normally within 14 to 21-working days after the Technical Seminar.